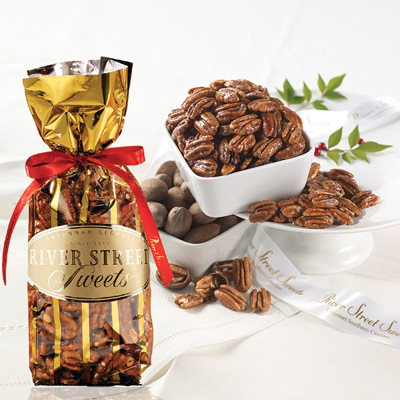 The Stockings were hung by the chimney with care... filled with sweet treats! 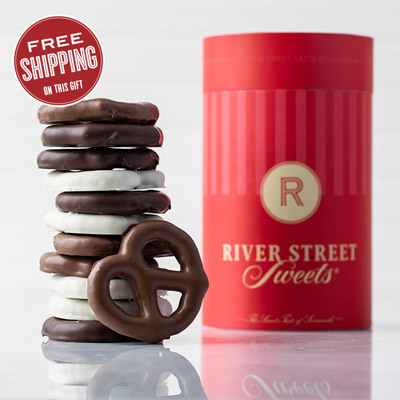 gathering are all ways you can give the gift of our candy stocking stuffers during the holiday season. 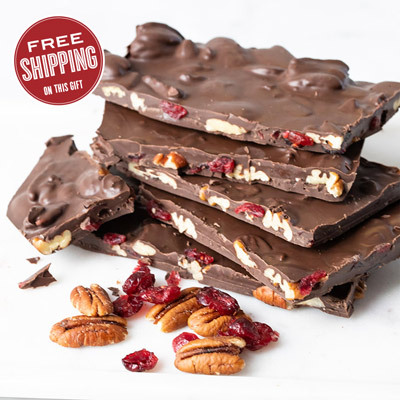 Whether they enjoy dark chocolate or milk chocolate, we have a variety of treats for your family and friends this December. 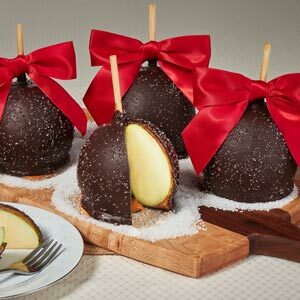 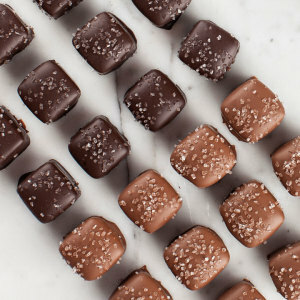 Chocolate Fudge, Dark and Milk Chocolate Sea Salt Caramels, our Assorted Chocolate Dipped Pretzels Holiday Box, and our Assorted Chocolate Caramel Apples are some great chocolate choices for stocking stuffers. 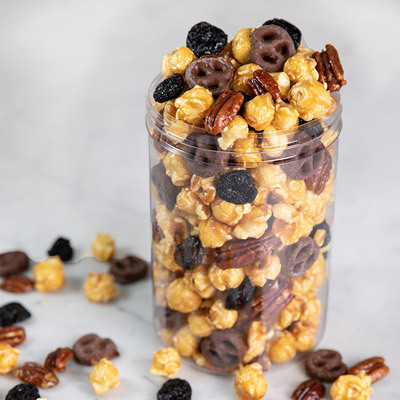 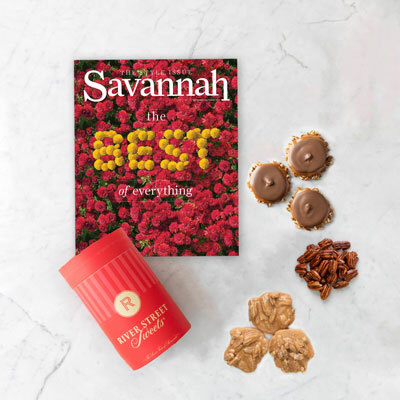 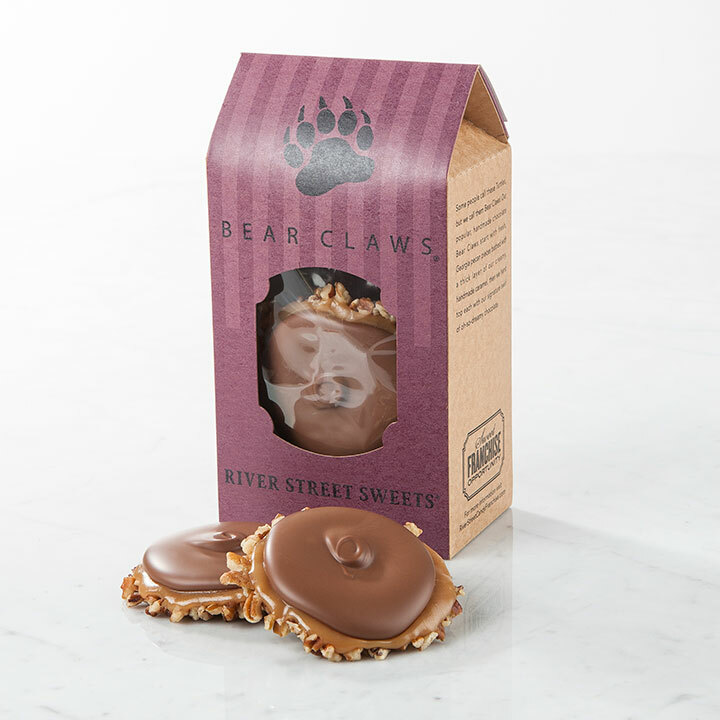 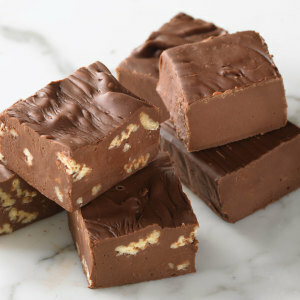 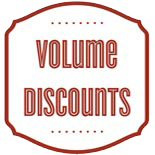 For your friends and family that enjoy the combination of chocolate and nut flavors, we offer our Chocolate Southern Charms (glazed pecans dipped in chocolate), Dark Chocolate Sea Salt Bear Claw Tins, as well as Chocolate Covered Peanuts. 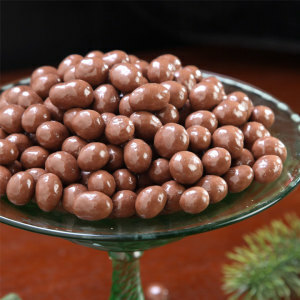 Imagine your loved ones fishing one of these tasty treats you know they will enjoy, out of the very bottom of their stocking on Christmas morning. 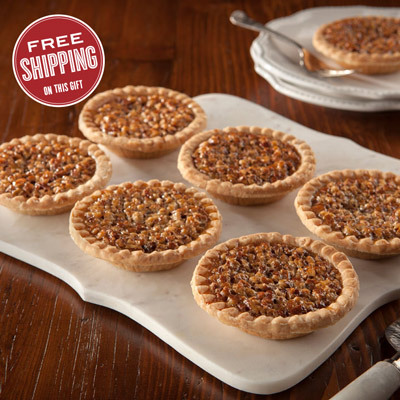 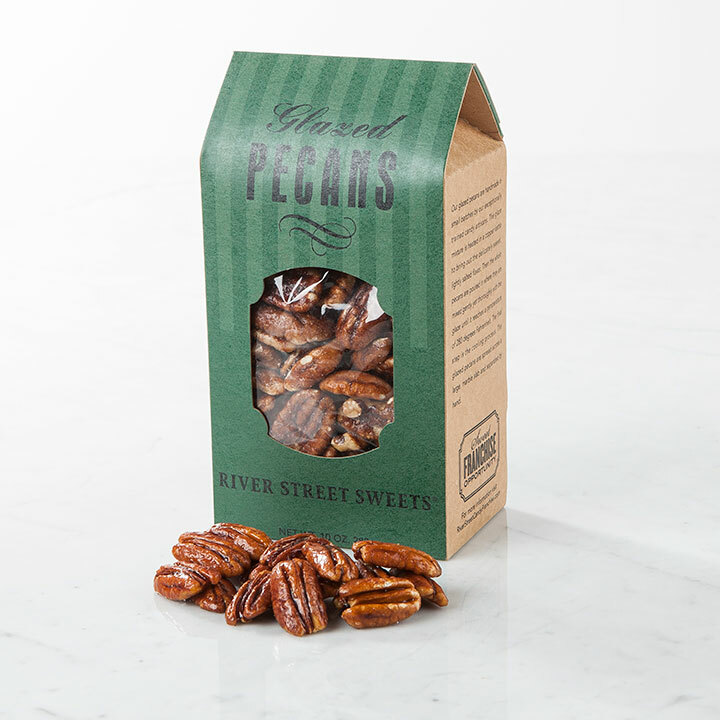 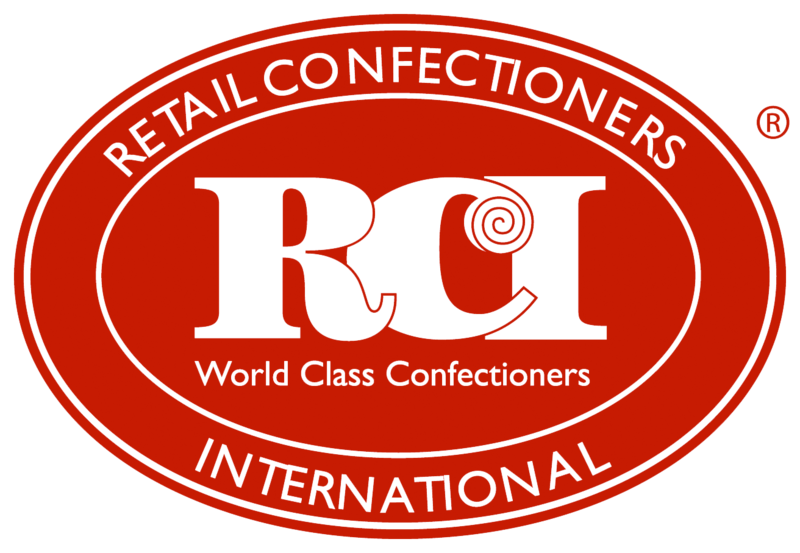 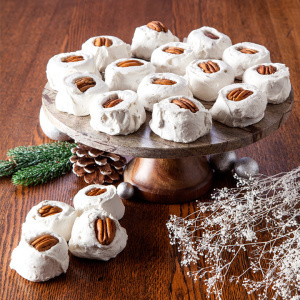 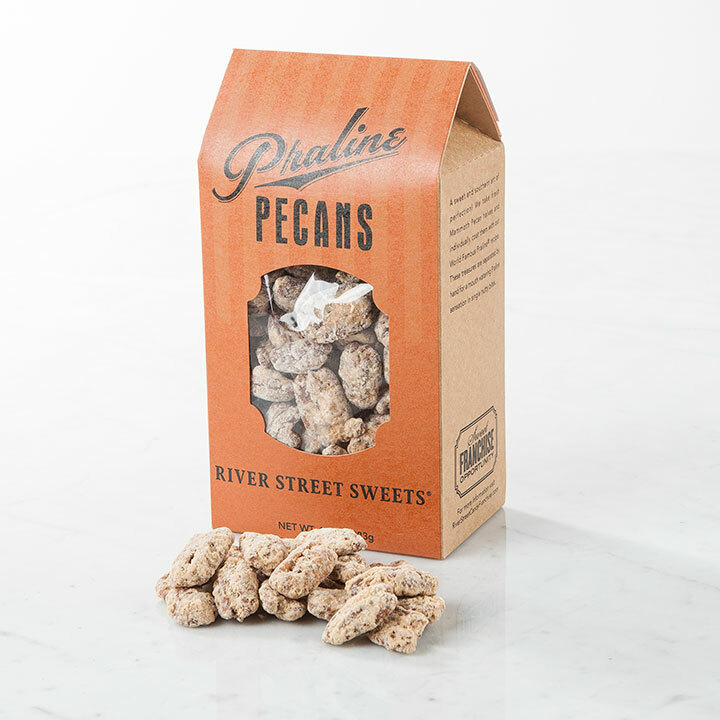 Being a company that thrives on the best parts of Southern treats, we are known for our ability to turn the quintessential pecan into a tasty sweet that our customers adore. 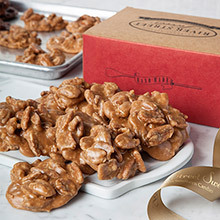 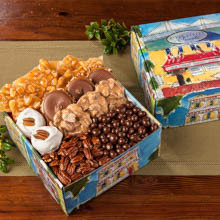 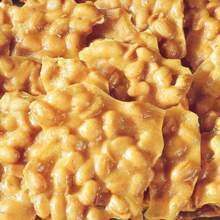 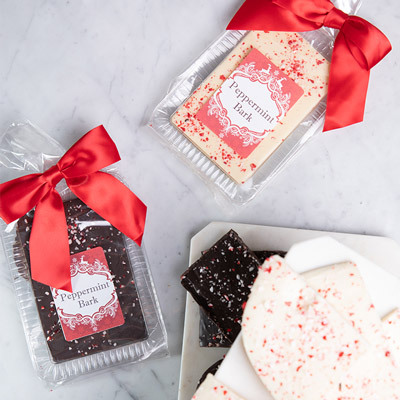 If you have a friend or family member that loves nuts, our Pecan Brittle, Praline Pecans, Glazed Pecans, and our Peanut Butter Fudge are great choices for your stocking stuffers. 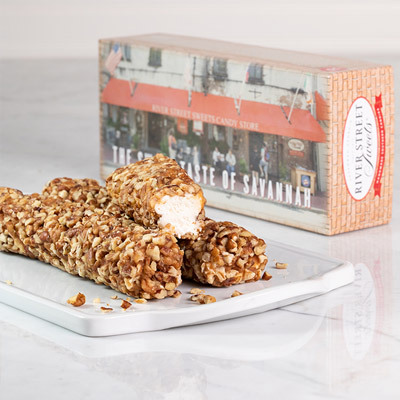 We also have a five pack gift box of our Log Rolls that can easily be slipped into a stocking amongst the pocket flashlights and cozy socks your family will discover in their stocking this year. 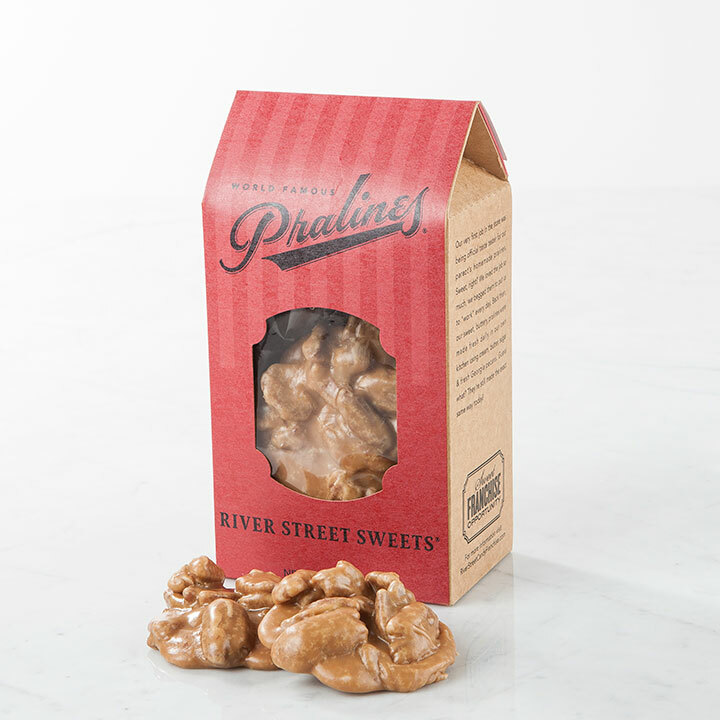 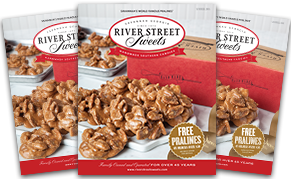 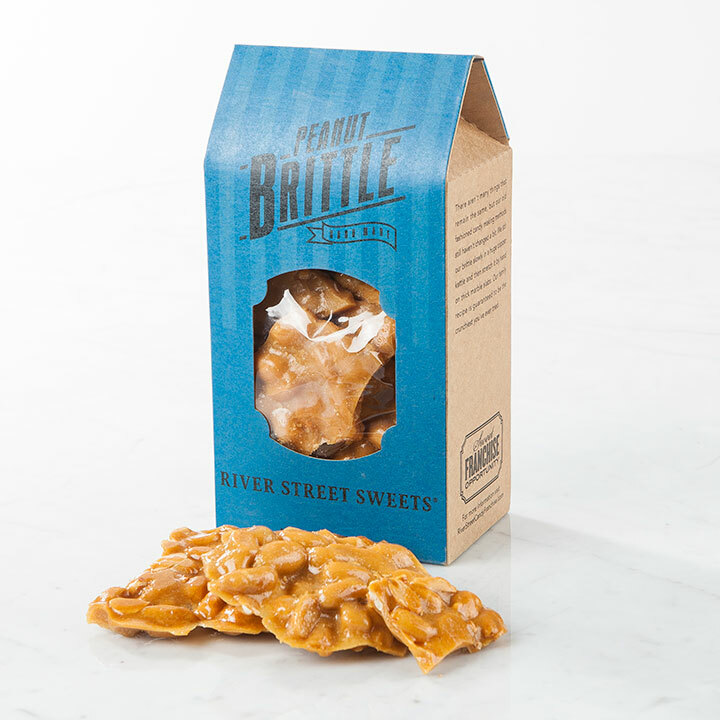 If you are planning a large family gathering and know that a River Street Sweet is an excellent way to make many people smile, we have a few ideas to help fill those stocking with cheer this holiday season. 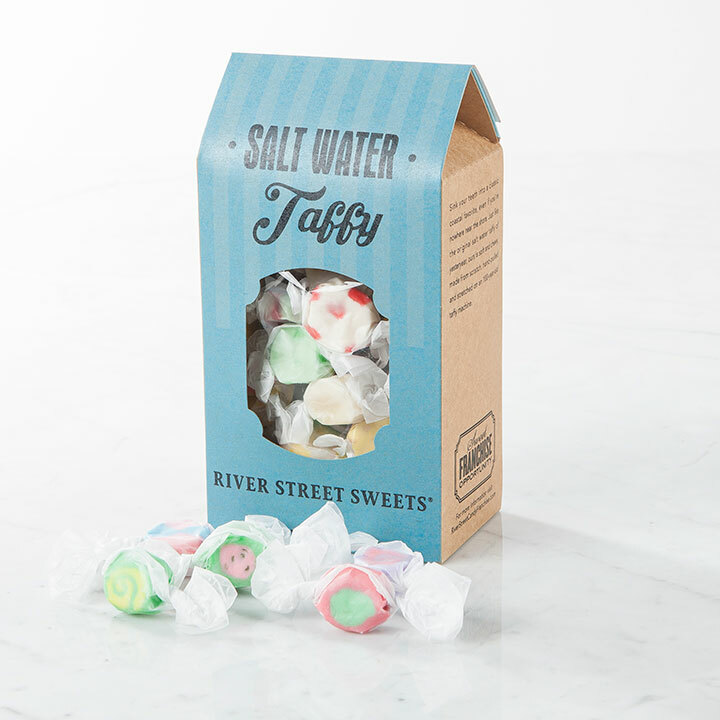 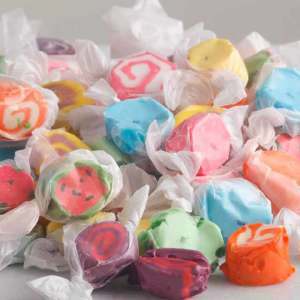 Pralines and Chocolate Bear Claws can be ordered in bulk, our Salt Water Taffy is an excellent choice for stocking stuffers, and if it is difficult to shop for everyone at once, you could always add a gift card so they can pick their favorites on their own.